Toyota has confirmed that it will return to the sportscar arena next season as engine supplier to Rebellion Racing's LMP1 effort. As we speculated over 12 months ago, this is the first direct motorsport involvement for the German-based Toyota Motorsport outfit since it withdrew from Formula 1 at the end of 2009. The prototype version of the Toyota-powered Lola coupe was first shaken down at Snetterton in October and has since been tested in Portugal and Spain. 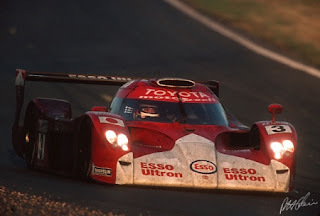 Toyota Motorsport president Yoshiaki Kinoshita said: "Toyota Motorsport has recent experience of engine supply partnerships from our Formula 1 days, so we are drawing on that to deliver a reliable and competitive engine. "We are looking forward to working with Rebellion Racing on this exciting project and it was very pleasing to see this engine running in a car for the first time, particularly because the performance, as well as the reliability, was very encouraging." Rebellion team principal Alexandre Pesci added: "This agreement is the cornerstone of Rebellion's challenge for the forthcoming season. Toyota is an impressive and remarkable industrial giant, we are proud to have been selected by Toyota Motorsport as their partner in this project. "It means a lot for our team to have secured their support in our efforts to target the victory." We expect this is the first step in a campaign that will take advantage of the advanced hybrid regulations allowed at Le Mans.